Make the most of the fall season and Halloween too; treat your taste buds with enticing pumpkin milkshake and they won’t stop thanking you. Pumpkins are available in abundance during fall and one must try this pumpkin pie shake recipe to enjoy the flavor and fruit of the season. Combine canned pumpkin, milk, 1/4 teaspoon pumpkin pie spice and sugar in a blender. 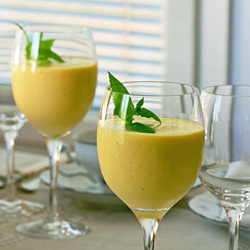 Blend until smooth puree. Add vanilla ice cream and blend again until it’s frothy. Top each serving glass with as much whipped cream as you like (optional) and sprinkle pumpkin-pie spice over it. Replace canned pumpkin with pumpkin puree if former is not available. 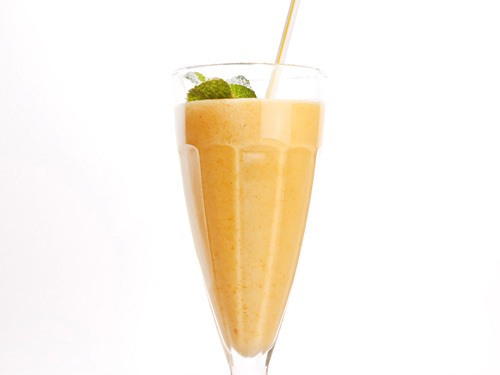 Taste: Sweet taste of milk shake with a real flavor of pumpkin. Serving Ideas: Pumpkin pie milkshake tastes best on its own at any time of the day or serve it with snacks in the afternoon.